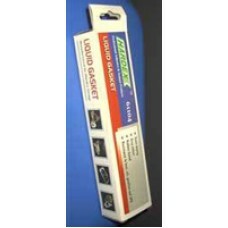 Hardex Liquid Gasket 61104 Hardex Liquid Gasket 61104 is a semi drying, visco elastic type sealant capable of joining uneven surface. After it cured, it becomes rubber like elastic substance which will resist heat, oil, gasoline and LPG. This liquid gasket is easy to apply and improving the work efficiently. It is designed for all types of industries, especially the automative industry. Ideal for the purpose of making high quality gasket.